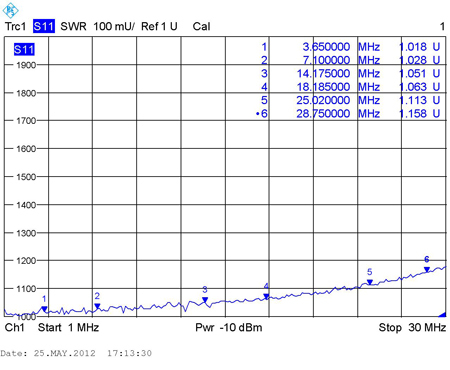 The Ideology of the City Windom antennas is easy to understand and the same for all the models. Please take a look at Fig. 2. This is an ordinary Windom antenna known since 1925. Its supply unit is located on the antenna curtain at one-quarter length from its ending point. Such antennas are called Off-Center-Fed Antennas. At a distance of ¼ of its length the conductor has a resonance with an impedance of 250-300Ω. And this harmonic resonance appears at multiple wavelengths. 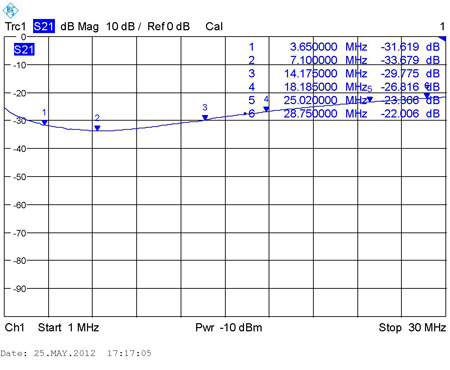 And now let's take a look at the City Windom antenna (Fig. 3) released to market in 2010. It has all the same Windom parameters of the classic model except it is powered from the ending point. Such antennas are called End-Fed Antennas. While the excitation of the antenna is made at the same point A the energy is supplied not perpendicularly over the feeder but along the curtain. And the very same cable acts itself as a radiator. There is a choke at the antenna's ending point in order to cut off the current and to provide the antenna with a resonant wavelength. 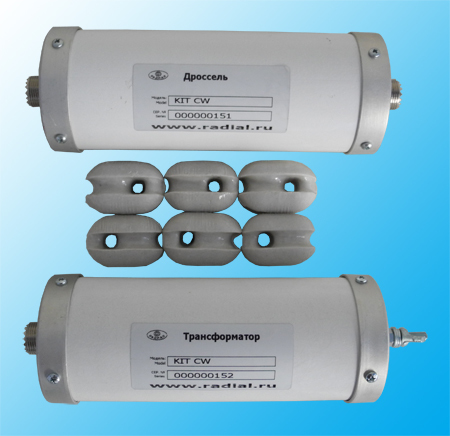 The transformer is used to convert the antenna radiation resistance of 250-300Ω to the standard cable impedance of 50Ω. This design lends itself very well to be used on the upper or ground floors of the urban high-rise buildings. A radio ham will only need one attachment point on a neighboring building, a tree or a pole, and another directly by his or her window or on the balcony to mount the antenna. Our kit contains everything you need to build an antenna except a cable, connectors and an radiation wire as these sometimes are much cheaper to get around where you live. Not to mention that building their own antenna, with their own hands, is a labor of love for many radio hams—so why spoil the joy and help support Moscow workers inflated salaries? Same approach we found useful in resolving the interminable argument on what would be a better radiator choice: the copper cord, bi-metal, galvanized or army cables. It is now up to you completely and only depends on your imagination and financial range. You will find dimensions of radiators to build any antenna in the Table 1. As for antenna curtain assembly methods, they're shown in Fig. 3. For the CW 1601000 antenna, with length of 80 meters, a supporting rope with nut insulators needs to be used. As for all other antennas, it remains up to you, depending on installation and operation conditions. The choke provides the following isolation. Diagram.